I taught my first skills class tonight! Back squat and overhead squat. The two guys were great and made it really easy. I am really looking forward to being a trainer. Sounds like the workout canceled out the chocolate stampede. Sounds grueling but fun! Laughing at “Stampede”! 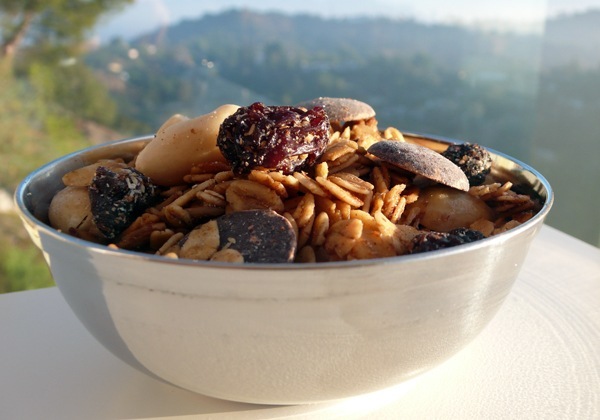 In trail mix like that there’s a hierarchy of food items: chocolate is always at the top. Sunflower seeds at the bottom. If they even get eaten, that is. Congrats on your first skills class. That WOD sucked but the thing it left me with was the realization I need to drink a LOT more water than I do.